Statues along the Spree river bank opposite the Berlin Cathedral . Slow motion. 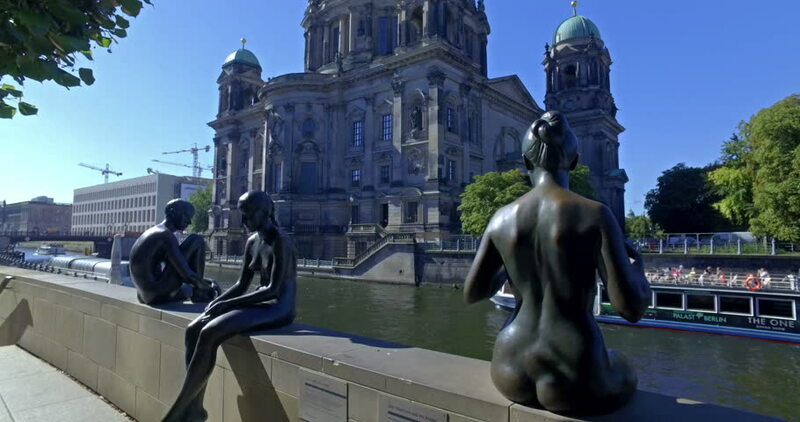 hd00:09Statues along the Spree river bank opposite the Berlin Cathedral . Slow motion. 4k00:21A view at the Viennese St. Stephans cathedral and a lot of urban buildings with the pulse of a lot of car traffic. The blue sky was replaced by a fluffy clouded one. 4k00:21PARIS, FRANCE - Aug, 2016:Tour boat Seine river at sunset ,boat passing under the Carrousel Bridge (Pont du Carrousel) and Louvre MuseumParis, France 4K, 2160P, 4096x2160.